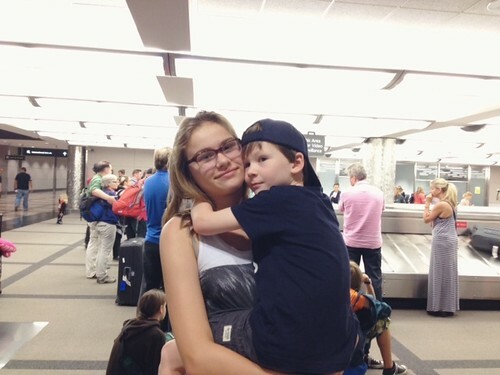 48 days later, all is right and sissy came home. He had a countdown on his chalkboard, he was so very glad to see her. She came back an inch taller and with approximately 13 One Direction shirts. 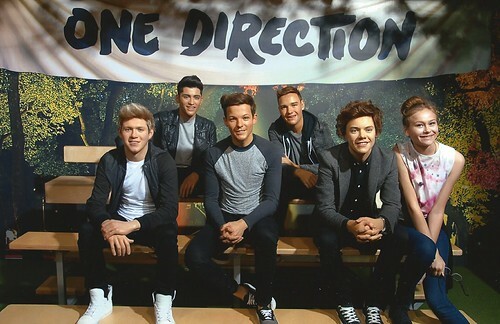 I’m glad she went, mostly because she was able to visit Madame Tussaud’s London and make this bit of priceless imagery happen. Quite possibly the best thing in my life right now, photo gold, you guys. 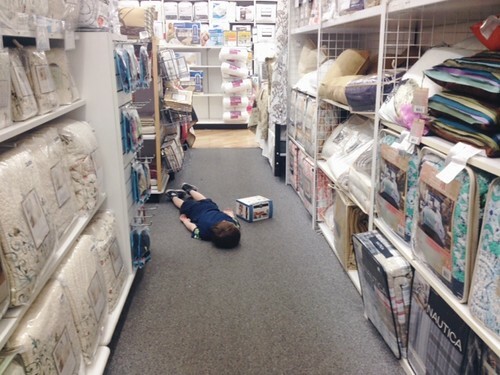 Sometimes, while your mom looks at bedding, life gets to be too much and you just need to lie down. In the middle of Bed, Bath, and Beyond.